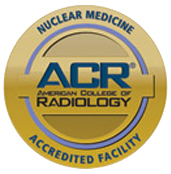 The Nuclear Medicine Department is a full-service department, which performs both diagnostic and therapeutic procedures. Bethesda has four nuclear medicine gamma cameras to meet the needs of both Radiology and Cardiology. Nuclear Medicine utilizes radioactive material. For routine diagnostic procedures, the patient receives an injection of the radioactive material (isotope). Upon injection, this radioactive material emits a pattern that represents the size, shape, and function of a specific organ. The amount of radiation emitted from the isotope is minimal. For therapeutic procedures, isotopes have a considerable amount of radioactivity for the purpose of radiating a particular site. These studies are done for specific diagnoses, such as cancer or hyperthyroidism. Monday-Friday, 8:00 a.m. to 5:00 p.m., on call after hours. To schedule an appointment, call Central Scheduling at 561.374.5700.